Marble is commonly seen in flooring and even shower walls, but most people don’t know it’s also used in window sills. Beautiful and sophisticated, marble window sills offer many benefits to home and business owners alike. Interior decorators that choose this material will make an incredible impression on their customers, and builders who upgrade to marble instead of wood will enjoy a competitive edge over other builders. Whether you are building homes or offering supplies for your customers to do their own renovations, your customers will appreciate marble window sills. The interlocking crystals inside marble make this one of the most durable choices. While wood will eventually rot, marble will last for generations. More attractive than most other building materials, marble has a natural beauty that appeals to almost everyone. An impressive and luxurious beige, our Crema Sahara Marfil marble features natural veining and flecks of brown and deep tan. These colors give the stones depth while adding warmth to the room. A naturally occurring stone, no two pieces are exactly alike, and that adds even more interest to the space. Unlike wood that expands and contracts, marble remains stable to avoid cracking. It’s also a sanitary surface that will not hold allergens like dander and pollen. It’s an elegant touch that adds visual style to any property and makes it stand out from the others. Home buyers today have high standards. They want quality materials that are both attractive and durable. Savvy and informed, they will not settle for lesser quality items. As a home builder, you want to send a message to your customers that you watch the small details and are committed to delivering the highest quality. This is why you choose to install ceramic tile over vinyl, and why the showers have ceramic or natural stone instead of fiberglass. Incorporate marble window sills into your new homes to really make an impression on customers and boost your sales. Beautiful beige marble window sills will stand out in any room. It may be one of the first things potential buyers notice. Just as granite counters are sure to impress in the kitchen, marble window sills will also be noticed and remembered. Buyers will appreciate your dedication to quality, and they will view the rest of the home more favorably. While they cannot see the construction within the walls, they will subconsciously assume that the entire house features the same high quality, and that gives you an edge over the competition. It makes your homes stand out, and you will have a higher rate of returning customers and your sales will improve. Smart interior designers want their customers’ homes to look incredible and suit their personal style. They also want to steer them towards supplies that are durable, easy to maintain and attractive. Wood window sills are found in most typical homes, but designers recognize the value in using marble to make the home stand apart from the rest of the neighborhood. If your customers hesitate to make the transition to marble, remind them of the many benefits. A neutral choice, it will never have to be painted. If the window is left open and the sill gets a little rain on it, all you need to clean it is a soft cloth. They are incredibly durable, and they add a sophisticated touch to any home décor. The best interior designers also consider every angle of a room, including the window sills. Take the time to add marble window sills to your design plan and your potential customer will know that they are working with a skilled designer. It sets you apart from others, and your customers will trust you to guide them to the right choices in other areas. People are investing in turning their existing homes into their dream homes. Whether you are adding an addition for the extra floor space or converting the garage into a mother-in-law suite for an aging parent, remember to suggest marble window sills when appropriate. In addition to being used as window sills, marble is also used for door thresholds and even at shower entrances. It’s one of those little touches most homeowners won’t think of, but they will love the improvement. In addition to making a great impression when you put the bid in, your use of marble and other quality materials will encourage that property owner to call on you the next time they are considering home renovations. Homeowners are just as savvy and smart as home buyers. They are looking for home improvements that increase the value of their homes, make the property more energy efficient and add visual appeal to the dwelling. While wood sills may sell very well for you, are your customers aware of the benefits of marble window sills? When you start offering your customers up-scale options like marble window sills, they will appreciate the opportunity to improve their home with a timeless and durable construction material. Marble is excellent protection against moisture that can work its way through wood window sills, and they add value and style to every home. Easily installed, they are available in standard sizes that your customers can easily work with. Whether you are dealing with standard window sizes or need custom work done, Stonexchange can help you. While we do not manufacture our own stones, we can have pieces custom ordered from our overseas factories. There is a minimum purchasing quantity for custom orders, so it’s best to wait and ask for special sizes when you are ordering a larger quantity. Stonexchange specializes in providing customers with the lowest prices. We work directly with manufacturers to ensure that the sills we offer are the highest quality and produced to your exact standards. With our low prices, you can add marble to your construction, renovation and design projects without having to drastically increase the cost of the project. You can make an impression on your customers will still offering the quality and value they expect and deserve. We offer beautiful marble stones in beige, Nuevo white and pure white. We also carry black granite window sills and luxurious travertine sills. This allows you to customize your projects to meet your customers’ needs and individual style. We offer our customers all the benefits of a consistent supply and reliable inventory. We have contracts with the most reliable marble suppliers. 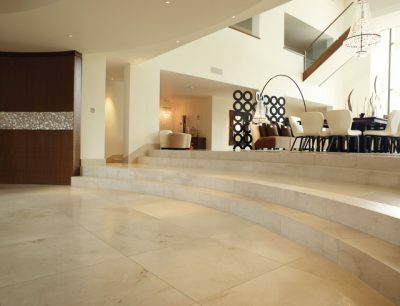 We import massive quantities of marble and travertine products, and that allows us to negotiate lower prices. With our stable supply of quality items, you can count on us to supply you with the marble you need for your own store shelves, building projects or contracting business. We appreciate that your customers expect high quality products, and the construction materials you use is a reflection on you and your business. We are dedicated to providing you with the high quality products your customers expect, so that you can make a great impression on your customers and maintain your sterling reputation. We ship boxes and crates throughout the country. We have contracted with some of the best overland shipping companies in the nation, so we can offer you excellent savings on the marble window sills and the shipping. Whether you need 100 pieces for a remodeling project or you are going to order 1000 pieces to use in all of your new construction projects, you can trust that your order will arrive in a reasonable amount of time. All items are shipped directly to your home improvement center, the individual job site or your other commercial location for your convenience. There are many good reasons to choose marble window sills over wood. Invest in a supply of marble sills at your home improvement center to satisfy your upscale clients. If you are a contractors or designer, keep a supply of them on hand for renovation projects and new customers. When you choose high-end products like beige marble sills, your customers will be impressed with the level of quality. It makes the best first impression on new customers, and they will be more likely to give you a positive referral in the future. Contact the Stonexchange team today to place your order for beautiful marble window sills to delight your customers and improve your business.